If you’re a business leader, it’s hard not to be taken in by the urgency of digital transformation. “Evolve or die.” “Hottest topic.” “Essential for business growth.” “Don’t get left behind.” These are just some of the blaring headlines encouraging leaders to run, not walk, headlong into digital transformation. 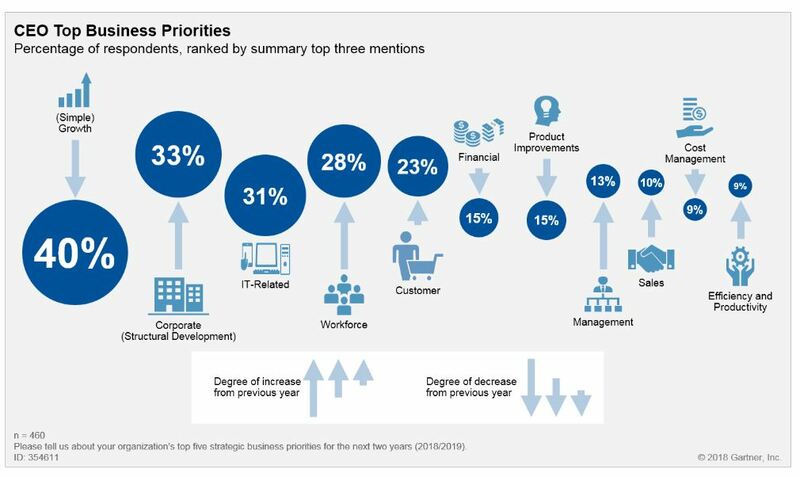 But while digital transformation is a high priority for many companies – and it holds the promise of meeting disruption head-on, improved customer experience, and a better selection of talent in a tough market – it’s not something to be done without a clear vision and strategy. Strategy: transformation first, digital second. What are our strategic focus areas, and how can technology facilitate them? What do we need to solve to improve customer experience, and what digital capabilities will help us? Where is our competition outpacing us, and what can we do digitally to close the gap? Where do we want to lead, innovate and outrun our competition, and how can technology set us up to do so? How do we capture the benefits of today’s technology and remain agile enough to change course in the future as new technologies evolve? But you still need a strategic IT partner. Digital transformation isn’t for the faint of heart…or the faint of capability. Does your IT team have credibility within the organization? Does it have the business acumen and understanding of the business to make the right recommendations and trade-offs? Does IT perform its core capabilities sufficiently well to take on this additional hurdle? Is the team strategic, business minded, and well networked into the business? Is the team sufficiently technology agnostic to make sound business decisions, while also having relationships, insights and a strong point of view on IT tools and capabilities? If the answer is no, you may have to upgrade your IT talent, bring in a third party to fill in the gaps – or both. Culture eats strategy for breakfast, and technology for lunch. Forrester describes digital culture as “customer-obsessed, empathetic, agile, experimental, and collaborative.” How many companies have all of these attributes today? A company entering into a digital transformation without ‘digital friendly’ culture and behaviors already in place needs to make the right cultural shifts to get the most out of their investment – and that requires the commitment of leaders across the company to making that shift. 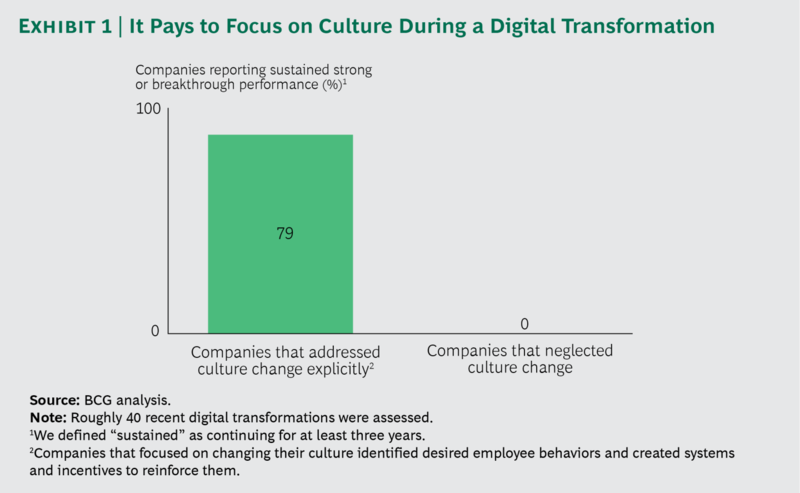 BCG looked at 40 digital transformations and found that 90% of companies making culture a priority reported breakthroughs or improved financial performance, compared to only 17% of companies that didn’t. Don’t get stovepiped by linear, functional thinking. Turning digital transformation into a functional capability upgrade runs the risk of leaving large, cross-functional challenges unsolved. Many of the best digital investments, from data and analytics tools to artificial intelligence to robotic process automation, can be used thoughtfully across the enterprise. And, if you need to prioritize and stretch dollars, think about where the greatest pain points are, and where technology can drive the greatest outcomes and performance improvements. Are you ready to unleash your organization? Technology offers great opportunity, but also new ways of working that you and your company need to welcome. For example, technology is great for bringing the customer closer to the organization – but are you ready to empower your customer service reps to make customer-focused decisions in real time? Are you willing to pull some of your most talented employees out of their functions to sit on agile, cross-functional teams that drive digital enablement? Think about these things before you move forward, and consider tapping some of your leadership and emerging talent to think and plan with you. Where strategy, culture, organizational agility and technology meet – that’s where the magic happens. Is your organization looking for an affordable and easy-to-use solution to drive digital enablement? DirectSuggest, the suggestion box reimagined, connects your decision makers directly to your employees and makes it simple for an employee to make suggestions with the assurance that they arrive where needed. For more information please click here. 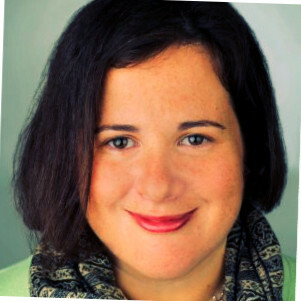 Shari is a change and transformation leader, with experience advising and supporting organizations and executives in their efforts to transform, lead change, engage employees, communicate effectively, upgrade their process and digital capability, and build agile organizations with strong workplace cultures. She has held roles in Big 4 (Deloitte) and boutique / agency consulting firms, as well as in-house roles with Dell, SAP and most recently a PE-owned Caterpillar spinoff.